I co-hosted a baby shower yesterday, and made fabric birds for decor. 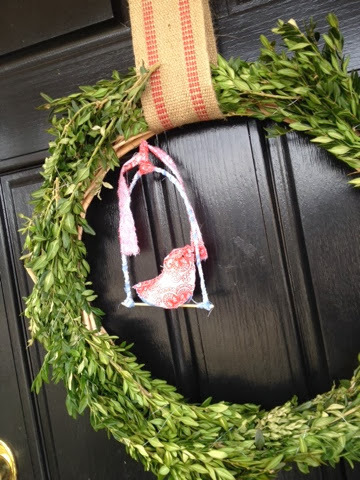 I updated my Christmas wreath with a bird and a fabric-wrapped perch to welcome guests. I'll post more photos of the shower soon.